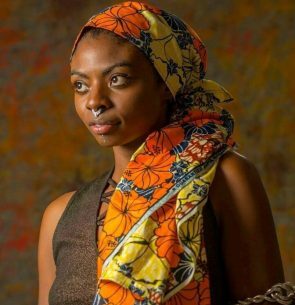 Charity Everett is a Creative Technologist, Storyteller, Performer, and Research Fellow at MIT Open Documentary Lab and Graduate Learning Fellow at Harvard University’s Derek Bok Center for Teaching and Learning through their Reality Lab. She is also involved with the History Design Studio at the Hutchins Center for African and African American Studies at Harvard. She explores the connection between humanity and technology, and connects seemingly disparate dots using XR (AR/VR/MR). Her project Go Back Fetch It sees itself as a storytelling entrypoint into an XR narrative that blends art, data visualization, dance, and interactivity in a universe that connects interactive projects together to push the boundaries of interactive narrative and immersive documentary. She has given presentations at AR in Action at the MIT Media Lab, the Institute of Contemporary Art in Boston, the Game Developer’s Conference in San Francisco, Spatial Reality: Artists Explore the Future of XR in Pasadena, The Digital Futures Consortium at Harvard’s event Art Tech Psyche IV and the upcoming Art Tech Psyche V, and at the Afropunk sponsored event Reist(D)ance. She was selected as a 2016 Oculus Launchpad Fellow, an IDEA New Rochelle Resident, and was recently selected as an AR VR Women Futurist in Residence. Follow her on Twitter at @charitythesheha, and visit her website at www.charityeverett.com.